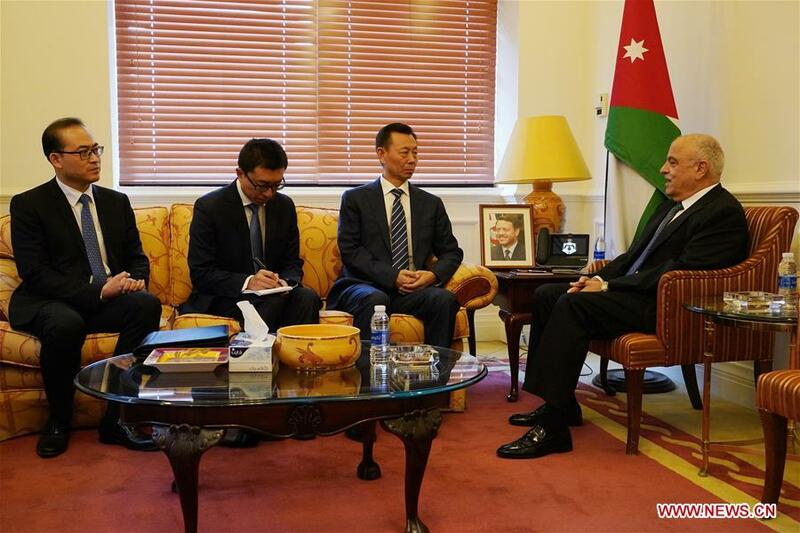 MUSCAT, Sept. 13 (Xinhua) -- A Chinese delegation led by Chen Xiaoguang, vice chairman of the National Committee of the Chinese People's Political Consultative Conference (CPPCC), on Thursday concluded its visits to Jordan and Oman, pledging to boost the bilateral parliamentary exchanges. The CPPCC, China's top political advisory body, is looking forward to strengthening exchanges and cooperation with the parliaments in Jordan and Oman, said Chen, who visited Jordan and Oman on Sept. 8-13 at the invitation of the Senate of Jordan and the Council of Oman. During meetings with the leaders of government and parliaments in Jordan and Oman, Chen introduced China's development over the past 40 years as result of its reform and opening up policy, and the multi-party cooperation and political consultation under the leadership of the Communist Party of China (CPC). Chen also discussed the bilateral relations, practical cooperation, as well as international and regional hot issues with top officials of the two host countries. The leaders of Jordan and Oman spoke highly of the bilateral ties with China and praised China's achievements in development in the past decades. They hoped that China will play a bigger role in international and regional affairs, while expressing their will to join hands with China under the Belt and Road Initiative so as to elevate the bilateral ties to a new level.